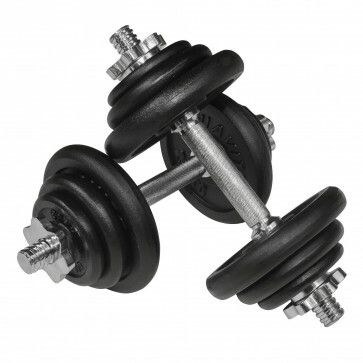 The 20kg black cast iron dumbbell set will fit in to all home gyms and gives you an efficient piece of equipment to use for toning and building up strength in your upper body. Grip the knurled handles in confidence and perform exercises that concentrate on your biceps, triceps, arms and back and chest muscles. 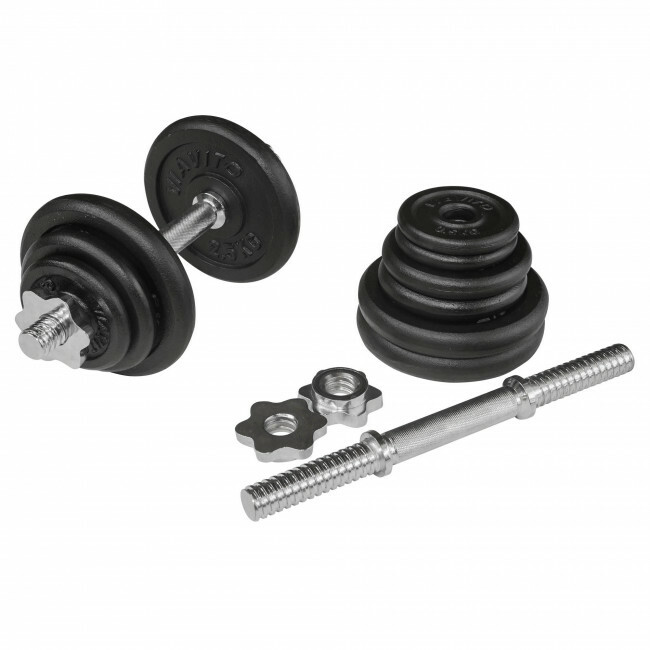 The set features 2 chrome plated bars, 2 chrome plated spinlock collars and 12 weight plates that have a durable black finish with our logo and their weight in kilos embossed on them. 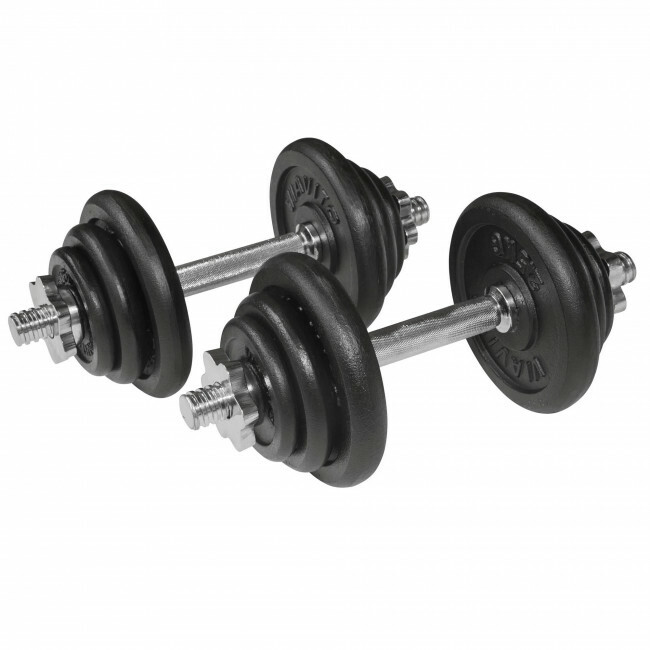 Make two dumbbells weighing up to 10kg (22.4lbs) each and do a complete range of dumbbell exercises.